conservation bodies such as Wetlands International, BirdLife International, WWF and IUCN, as well as for the Ramsar Convention Bureau, World Bank, UNDP, FAO and various national agencies. He has been involved in conservation projects in Western Europe, North and East Africa, the Middle East, South and East Asia, Central and South America, the Caribbean and the Insular Pacific. Much of his work has involved waterbirds and their wetland habitats, although he has also worked on tropical forest birds, chiefly in South America, and on desert birds in the Middle East and North Africa. He has carried out wetland and waterbird surveys in many countries, and has co-ordinated the compilation of inventories of internationally important wetland sites in over 120 countries in five continents. Between 1994 and 2006, he collaborated with Wetlands International in the compilation of the first four editions of Waterbird Population Estimates. 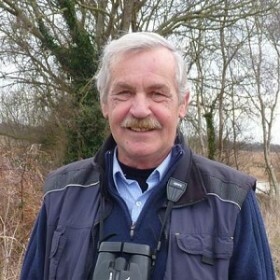 He was a co-author of the Atlas of Anatidae Populations in Africa and Western Eurasia, published by Wetlands International in 1996, and An Atlas of Wader Populations in Africa and Western Eurasia, published by Wetlands International in 2009. He has also worked with Wetlands International in the compilation of conservation status reports for the African Eurasian Waterbird Agreement. Since 1994, he has led three to five bird tours a year for Birdquest Ltd to various countries in Europe, the Middle East, North and South America, southern Africa, South-east Asia, Australasia, the Western Pacific and Antarctica. In recent years, he has been collaborating with ornithologists in Iran in the compilation of an Atlas of the Birds of Iran. Although based in Somerset in the U.K., he spends much of his time between assignments at his cottage on Dursey Island off the west coast of Ireland. He is married with no children.